Cute and easy gift. This leather snap tray will hold your jewelry, coins or more. 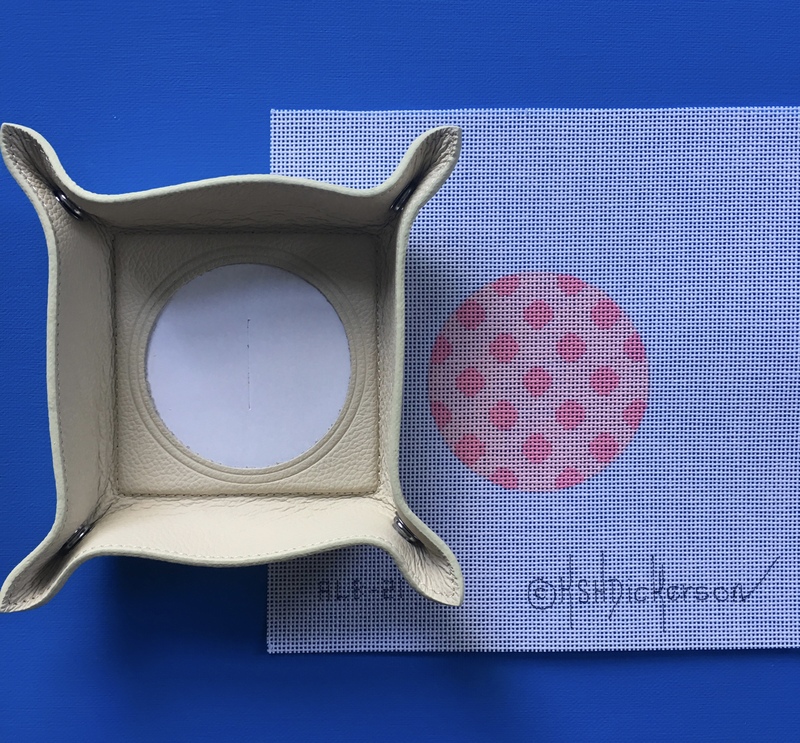 Perfect for a simple monogram or any 3" round canvas. Please note the canvas in the picture is sold separately.